Create Inventory of Visual Data with Voiceover on your iOS Device is a cool app for adding voice recordings to your iPhone pictures. With a newly streamlined user interface, SpeakingPhoto makes the app easy to use and intuitive: Shoot (a new picture); Speak (to add a recording); and Share (via email, Facebook, YouTube, a public SpeakingPhoto gallery or to your camera roll.) However, you can’t directly share images via iOS Message. You first need to save them to your camera roll, and then send the images via the Message app. Another exciting feature is the new "storyboard", which lets you select multiple photos with audio and combine them into one "movie." The app saves your movies as .MP4 files, and you can share images with Android and Windows Phone users. Of course, you could just take a video with your iPhone and share that. But most people take a lot more photos than videos. And it's nice to be able add audio to pictures after the fact. The file sizes of SpeakingPhoto's images with audio are also much smaller than equivalent video files. The beauty of SpeakingPhoto is that it's so simple and can be a great social tool for adding meaning and an insta-dimension to sharing on Facebook, YouTube and email. For professionals, the App is a productivity tool for quickly and easily creating inventories of visual data with voiceover. Professionals in real estate, insurance, sales, and construction love how SpeakingPhoto can accomplish a task in minutes, by reducing the typing required when on a mobile device. Quick share features within the App enable prompt, photo enhanced communication to clients, colleagues and across your social networks. SpeakingPhoto is available on the iTunes store in 3 versions: SpeakingPhoto Lite is the free version for iPhone and iPod touch. The $1 SpeakingPhoto app adds the ability to attach audio to existing images in your iDevice’s camera roll. And a $3 iPad app lets you take advantage of the tablet’s larger screen. SpeakingPhoto isn’t the only app that lets you add audio to images. Audio Photos Free for Android and Voicepic for iOS (free) offer similar functionality but SpeakingPhoto has received the best ratings to date. For more information visit http://speakingphoto.com. 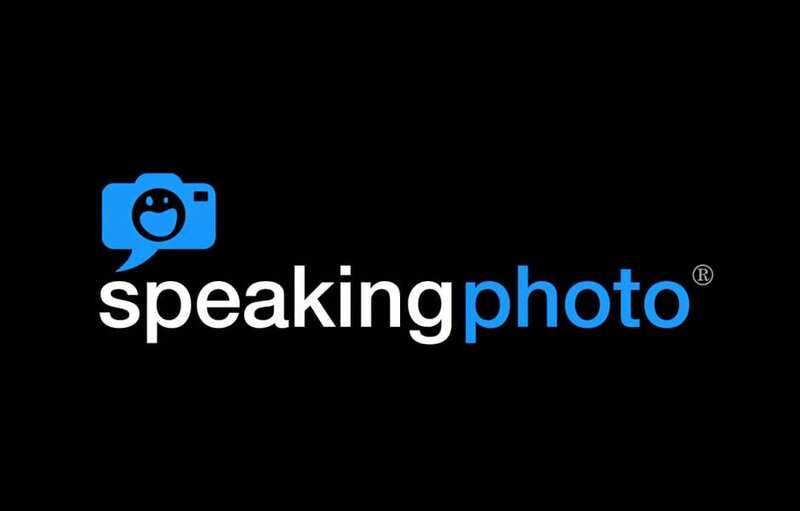 he iOS app SpeakingPhoto is a cool app for adding voice recordings to your iPhone pictures. With a newly streamlined user interface, SpeakingPhoto makes the app easy to use and intuitive: Shoot (a new picture); Speak (to add a recording); and Share (via email, Facebook, YouTube, a public SpeakingPhoto gallery or to your camera roll.) However, you can’t directly share images via iOS Message. You first need to save them to your camera roll, and then send the images via the Message app.